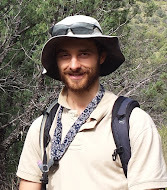 weltanschuuang: What stand density is optimal in Ponderosa pine forest restoration? 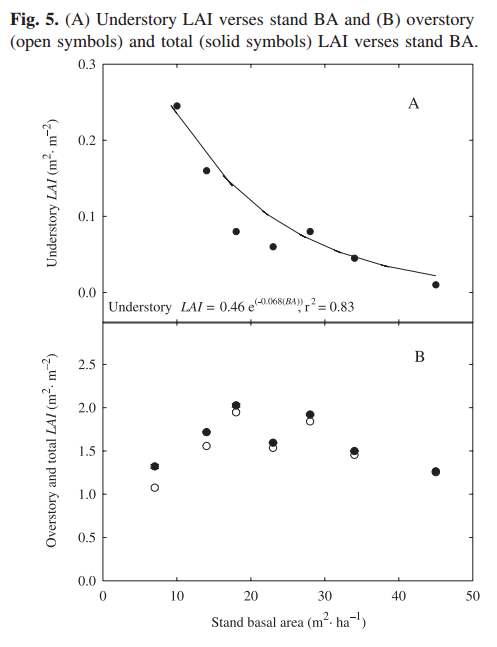 What stand density is optimal in Ponderosa pine forest restoration? 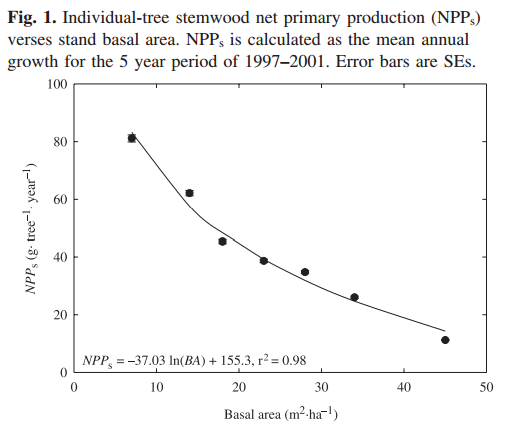 The lower the basal area, the more trees grow. Growth is especially important in drought-stressed trees because lower growth can weaken tree defenses. The lowest treatment in this study reduced trees to 7 m2 ha-1, and trees in this treatment had the highest leaf area per tree, indicating that they were healthiest at the time of the study. However, in the interest of full disclosure, this chart also shows (in panel B) that total forest resource utilization, measured by total leaf area, is highest at medium tree densities.